Pyamid Head Fanart. . Wallpaper and background images in the Silent Hill club tagged: silent hill pyramid head. 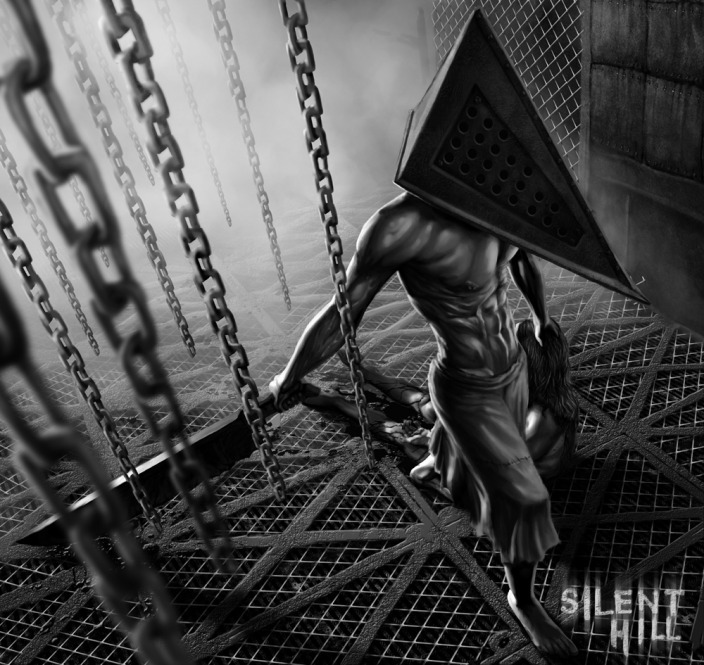 This Silent Hill fan art contains chainlink fence.